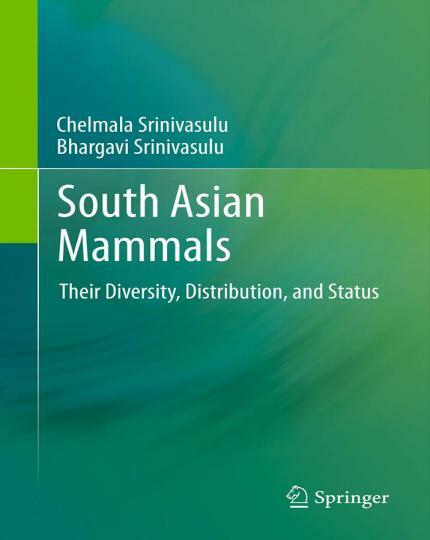 South Asian Mammals: Their Diversity, Distribution, and Status 1st Edition, Until now, information on mammals in South Asia has never been brought together on a single platform providing all‐inclusive knowledge on the subject. This book is the most up‐to‐date comprehensive resource on the mammalian diversity of South Asia. It offers information on the diversity, distribution and status of 504 species of terrestrial and aquatic mammals found in Afghanistan, Bangladesh, Bhutan, India, Maldives, Nepal, Pakistan and Sri Lanka. This work is unique being the first of its kind that deals with diversity and distribution at the subspecies level. The book is divided in to three chapters. Chapter 1 introduces the subject and takes off from the recent works on mammals at the global level, provides an historical perspective on mammal studies in South Asia and concludes with a note on recent phylogenetic changes at supraordinal levels. Chapter 2 summarizes the information on the diversity of South Asian Mammals, provides analysis by country of mammalian diversity (supported by data in tabular form) dealing with species richness, endemism and possibly occurring species, separate analysis for each country with details on endemic and threatened species, extinct mammals, domestic mammals, and finally the IUCN status of mammals with special emphasis on threatened mammals. Chapter 3 is a comprehensive checklist that provides information on each species, including its scientific name, type details, standardized English name, synonyms, subspecies, distribution and comments on taxonomic status. Country‐wise listings and analysis of species richness with emphasis on subspecies distribution Most of the analysis is supported by data in tabular forms for better understanding Notes on extinct and domesticated mammals as well as their IUCN Red List Status with criteria for such status A very comprehensive bibliography that would help readers track down specific literature.